JUSSI NIVA (b. 1966) aims at detaching the experience of three-dimensionality from the ‘modelled form’ and link it instead to the surface of the painting. The spatial experience of his work cannot be fixed to any single cognitive or experiential point. 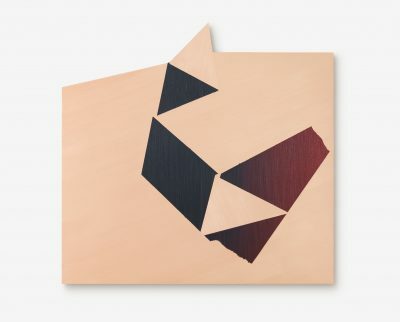 Instead, the works are loaded with elements that lead to fracture, such as acute angles where the surface of the painting takes a surprising turn. JUSSI NIVA (b. 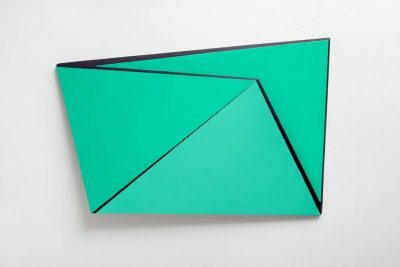 1966) is currently painting two-dimensional surfaces and three-dimensional objects in parallel. 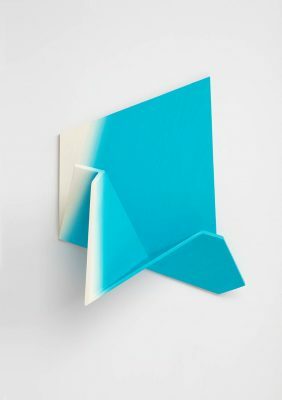 He aims at detaching the experience of three-dimensionality from the ‘modelled form’ and link it instead to the surface of the painting. 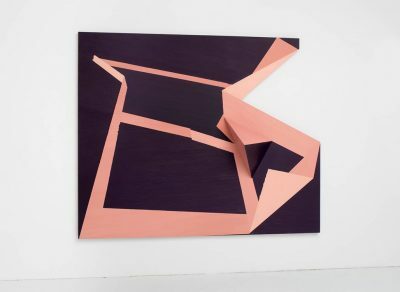 The three-dimensional works are interventions of sorts, they thrust into the space but conversely they also project space. Paradoxically, he works with them in opposite directions spatially. 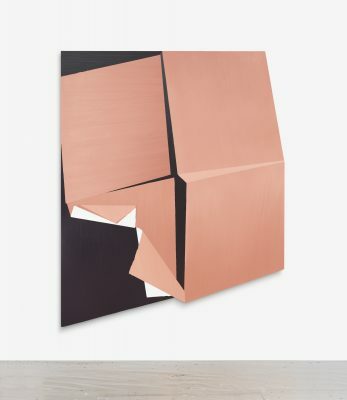 Jussi Niva constructs two-dimensional works by painting a volume or by piercing the surface. When he paints three-dimensional pieces, he does it optically against a wall. Thus this method can be associated with reliefs and the experience of depth in them. 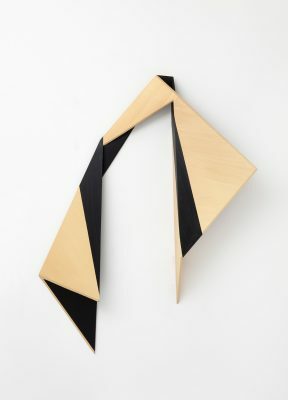 The surfaces in Jussi Niva’s work do indeed break up and search for direction. 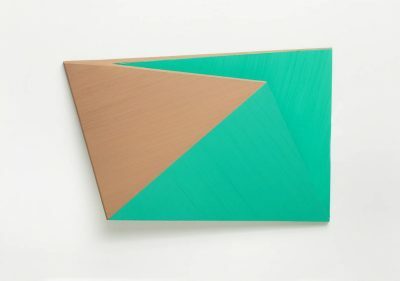 The sharp angles are above all points where the surface of the painting makes a turn, disrupting its frontality, which immediately makes the work more interesting. Viewers find themselves in a danger zone or embroiled in something that exists independently of them. Dividing a plane into ever-smaller parts will always involve geometry or mathematics. 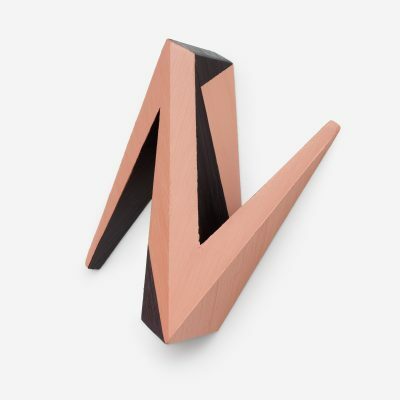 Jussi Niva’s geometry is of a kind of cut-and-fold type and the eventfulness is generally not logical; he is interested in seemingly impossible spatiality. 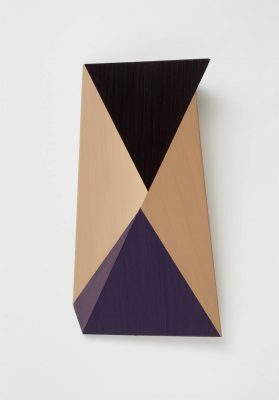 He constructs spatial paradoxes into his works, surfaces of collision or friction that seem to lead to a destination. The situation is a bit similar to groping one’s way blindly in a new environment. 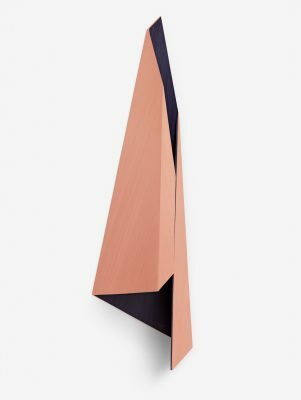 The spatial experience of Jussi Niva’s work cannot be fixed to any single cognitive or experiential point. 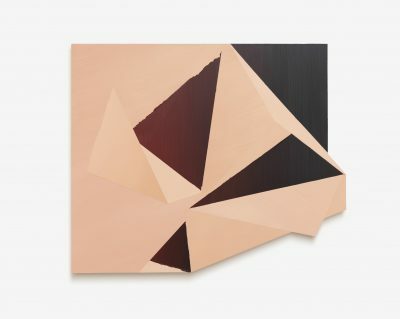 Instead, the works are loaded with elements that lead to fracture, such as acute angles where the surface of the painting takes a surprising turn. He also deliberately uses a forceful stroke technique to give the planes a spatial direction and an accelerating motion. Often, however, this conflicts with the three-dimensionality. Such disturbances or intervention are intriguing.